One projection says that by 2020 – just four years from now — 70 percent of the people on the planet will be using a smart mobile phone. A different study says that number will be 90 percent here in China. We also know people consume news on their mobile devices but not necessarily by going directly to a news app. Far more people get news that’s been shared on their social medial networks. And we know that the thirst for live video content is exploding. The Ericsson Mobility Report estimates that video traffic will grow 55 percent a year— 55 percent a year — until 2020. That growth will be driven by video streaming services and the increase in online video content in advertisements, social media and news. In news, the thirst for live video is huge. Because people want to know, as Vice’s Alan Miller put it recently: “What is it like to be there?” Television news was society’s first effort to put the viewer on the scene. And as we all know, that’s not always enough to keep them engaged. Carroll explained how AP and other news organizations are experimenting with new and immersive ways to tell stories. 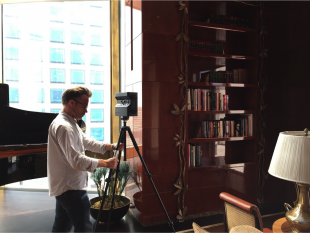 In our first VR project, we collaborated with Matterport, which has a camera that can be used to create 3-D models of physical space. In a project called ‘The Suite Life’ we used the camera to take viewers through luxury suites in a hotel, a cruise ship and an airplane. The images were 3-D re-creations and we could have played around with them, changed them. But we didn’t. Because news coverage – even news coverage of luxury suites — needs to be accurate and unenhanced. That meant that when we realized you could see the camera reflected in the mirror of one of the suite’s posh bathrooms, we left it in the presentation. We don’t alter images, even while experimenting with cool new tools. Perhaps especially then. Because accuracy is the foundation of people’s trust in us. That’s why AP and many others who are experimenting with these new tools are also crafting some rules for the new roads. We want innovation and accuracy to flourish together. Right now the technology and the gee-whiz factor are bringing people to the content. And the experience demands your full attention; it’s not something you can glance at walking down the street like you might check headlines. VR is immersive. 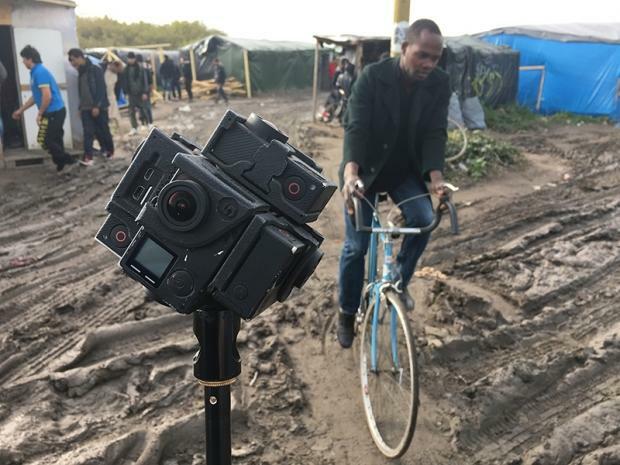 On a project released just last week, AP and RYOT [media company] made a five-minute video story at the makeshift camp near Calais, France, where people who have fled their homes are hoping to make their way to England. You could experience the camp with a 3-D model headset or without, turning your head or your mobile phone to see the raggedy tents and the people living in them, vehicles speeding past as one man despaired of ever seeing his wife and children again. The stories are much more intimate than traditional video — even the ‘you are there’ live video. And the questions about what is accurate are more subtle and more complex. 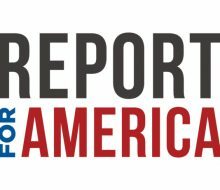 Tom Kent, AP’s standards editor, said it well in a recent piece on the Medium platform: “VR is becoming a powerful technique to hold and influence news audiences. But if producers focus solely on optimizing the technology or creating empathy for their characters, VR’s journalistic credibility will be threatened.” Tom and many other smart and thoughtful people are working on these questions so viewers can have confidence in what they see. There is much more for us all to learn in this exciting new phase of newsgathering and storytelling. It’s vital that we innovate for our customers and hold onto the critical value of accuracy so that in the whirlwind of content that is to come, people will know that they can trust the coverage that comes from our brands.